This is a very filling but pretty fast and easy meal. You could always substitute a vegan cheese sauce if you're dairy free. Unfortunately I haven't found a vegan cheese sauce that I'm a big fan of, so when I am avoiding dairy I tend to avoid "cheese" sauces. This has 3-4 servings, but you could probably add a couple more ounces of either macaroni or vegetables and still have enough sauce as I tend to like LOTS of sauce. I got my tapioca starch and rice pasta from the bulk section at WinCo. Prepare the macaroni in boiling water per the instructions on the box, adding the frozen vegetables to the water when there is 5 minutes left for them to cook. While the macaroni is cooking, mix together the items for the sauce in a medium bowl. 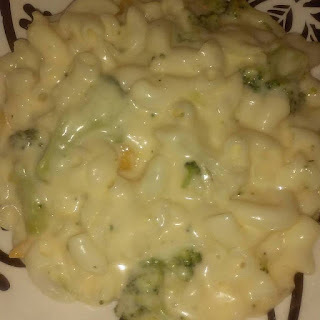 When macaroni and veggies are cooked, drain and set aside. In the now empty pot pour the sauce and adjust to medium heat. Stir until sauce is thickened, about 3-5 minutes. Once thickened turn off the burner and add in the macaroni and vegetables. Stir well and serve. I found a loom in my price range (very cheap). 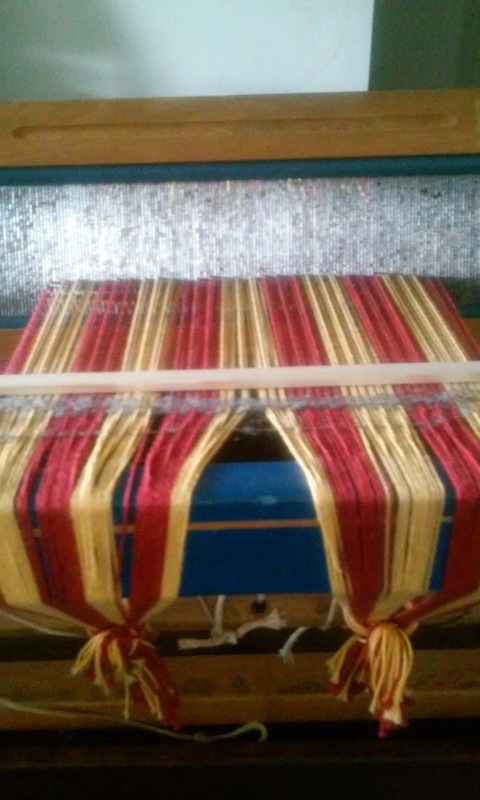 The person I bought it from tried weaving and had difficulties so decided to pass the loom on to someone that could use it. 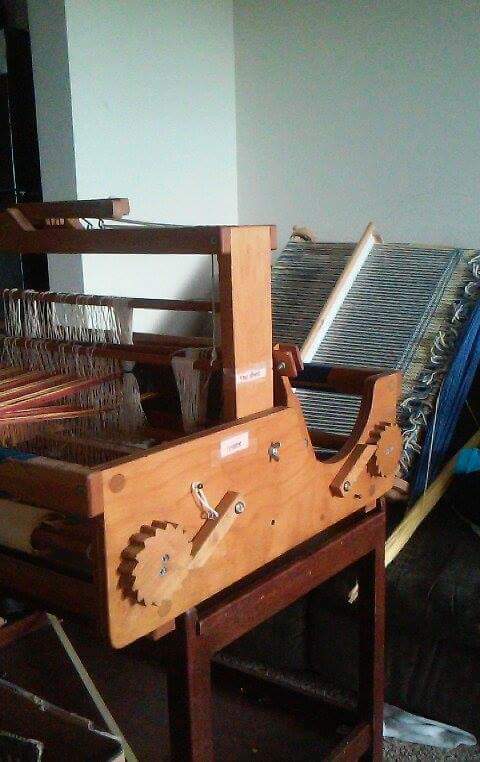 I'm very excited that I now have a 4 shaft loom in addition to my rigid heddle loom. 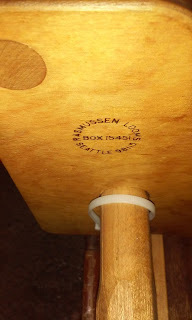 I look forward to experimenting and possibly weaving myself a piece to have converted to a onbuhimo style carrier before my son is too big to be worn anymore. 4 shaft Rasmussen table loom with a 12 dent reed. It needs some TLC but is useable as-is once I replace the front dowel and cord.